Just thought I'd let you know about this cool site I found several months ago called Blog Frog. Check it out here!!!! We spent last Sunday afternoon and evening putting up our Christmas tree and decorations. We also baked cookies and watched all sorts of Christmas shows like Rudolph and Cricket on the Hearth. 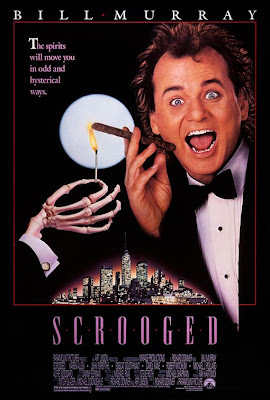 We watched our favorite one in the evening when we were all finished-"Scrooged". This has been a family tradition for over a decade!! I first saw this hysterical movie back in college. My roommate and I went to Lincoln, Nebraska Christmas shopping and decided to go to the movies. I loved this movie then and I love it even more now!! Check out a clip here. Check this out. This amazing woman is giving away 29 things in 29 days!! This is so inspiring. Check it out!!! 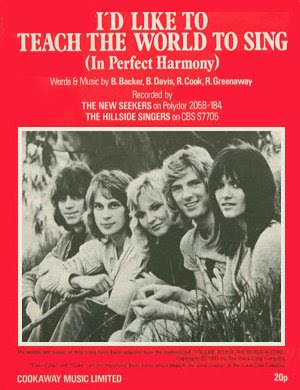 Do you remember that old Coke commercial "I'd Like to Teach the World to Sing"? I LOVED that ad and waited anxiously for it to play in between "The Year Without a Santa Claus" and "Bing Crosby's Christmas Special". With Christmas just 23 days away I thought it would be fun to share a few of my favorite holiday television specials from Christmas Past. I grew up in the 60's and 70's and as much as I love today's Christmas shows there's nothing like those puppet animation shows from that time. So be sure and check in all season long for a look back at the oldie but goodie shows from my childhood. It will be a trip down Memory Lane! Of all the Charlie Brown specials, this was the Charlie Browniest. Debuted in December of 1965. At the heart of the cartoon was the message that Christmas is really about the joyful miracle of Jesus's birth. Charles Schulz was after an inspired innocence but most Christmas specials since have moved away from that central message - but look how successful this program was. When the special was finished, the producers thought they had blown it and CBS executives hated it from the start. 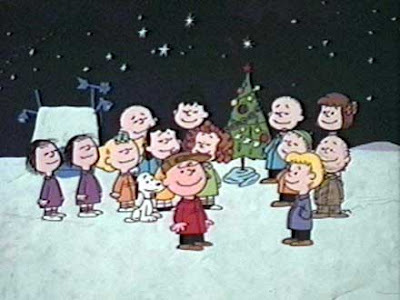 It was criticized by the network as being too religious (Linus quotes straight from the King James Bible, specifically Luke 2:8-14), for featuring a contemporary jazz by an unknown Vince Guaraldi (an offbeat choice for a cartoon) and for not having a laugh track (how would people know if it was funny or not)? The first year alone the special was seen in more than 15 million homes, capturing nearly 50% of the possible audience - number two in the ratings that week, after Bonanza - and won an Emmy Award for Outstanding Children's Program and a Peabody Award. If you haven't seen this one in awhile I highly recommend it. My 11 year old daughter and I have been anxiously awaiting this movie for months. After standing in line for 45 minutes we had our tickets and were excited to see the movie in just a few hours. Was the movie worth the wait and the money? YES! 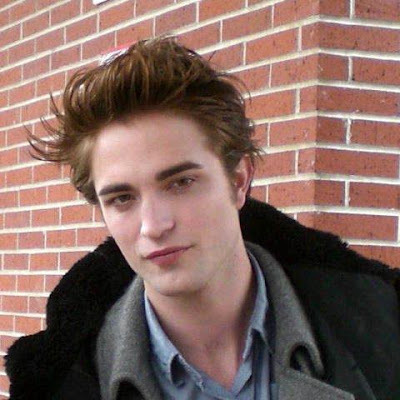 1) Edward- Rob does an amazing job of playing the main character in Twilight. From the moment he arrives on screen to the very end you just can't get enough of him. In the showing I was at as soon as Edward came on the screen everyone squealed just a bit. Too funny! He is dark, funny, romantic, protective and ferocious all in one. He is every woman's dream *sigh*!! 2) Bella-I know some people were disappointed in this pick. However, from the moment I began reading Twilight this is the actress I would think of. I've seen Kristin in other movies and have always liked her. She brings Bella to life in every sense. From her sarcasm to her no-nonsense approach to things...Kristin is perfect. 3) Alice-I've never seen this actress before but she is cute, perky and spritely. Just how I envisioned Alice to be. 4) Jasper-Not impressed with this guy although one of my friends thought he played the part well. I had pictured a stronger, handsome Jasper. This one is quirky and nerdy. 5) Esme-No real opinion here. She was okay. 6) Carlisle. At first I was like...who the heck is he? Thought he was kind of cheesy. But as the movie progressed he grew on me. I think he looks a bit too young to play the part. 7) Rosalie-I thought she was supposed to be the prettiest woman alive. She's not. 8) Emmet-Strong, rugged and gorgeous. Nice casting here. 9) Jacob Black-Okay, if you've read the series you know the key role he plays in the books to come. At first I didn't think this actor was the right one. But as I've pictured him in the later books I can see him playing this role. I think he should be bigger though. I'm assuming he will be when New Moon comes out. 10) Mike and the rest of Bella's high school friends-They all work just fine. Mike is nice and annoying just like the book. 11) Loved the part of Bella's dad, Charlie. I've been thinking if I hadn't read the books I don't think I would have enjoyed this movie. I mean most of the book is written so we know Bella's thoughts. We can almost feel her passion and love for Edward. We understand where she is coming from. Not so sure the movie portrays that. At the beginning of the movie when Bella sits by Edward in Biology, his reaction to her caused the theater audience to laugh. If you've never read the book...you would certainly be clueless. My wonderful husband is taking me again this week. He is curious to see what the fuss is all about. I'm not so sure he'll enjoy it but I know I can't wait to see it again!! **Have you seen the movie? If so I'd love to hear your thoughts. Leave a comment.